What Do Your CABG Flow Measurements Really Mean? Patent, functioning grafts are fundamental to successful CABG surgery. Measuring graft flow assures that grafts are patent or makes you aware of a problem while it can still be easily corrected. But how should you interpret the flow values? How important is Pulsatility Index or Diastolic Fraction Percentage? Should you examine every graft flow waveform for clues to its patency? 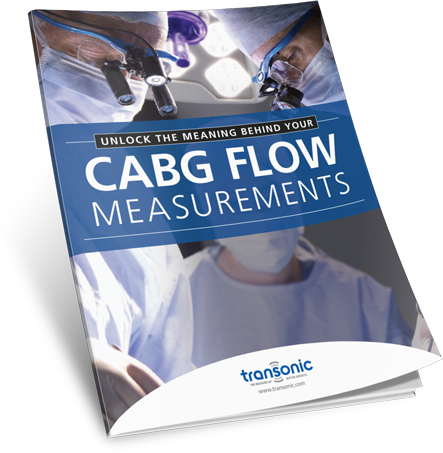 In our new whitepaper, “Unlock the Meaning Behind Your CABG Flow Measurements,” we address these crucial questions. Prepared by flow measurement subject matter experts, “Unlock the Meaning Behind Your CABG Flow Measurements” was created specifically for cardiothoracic surgeons and their teams. Fill out the form to instantly read the report.